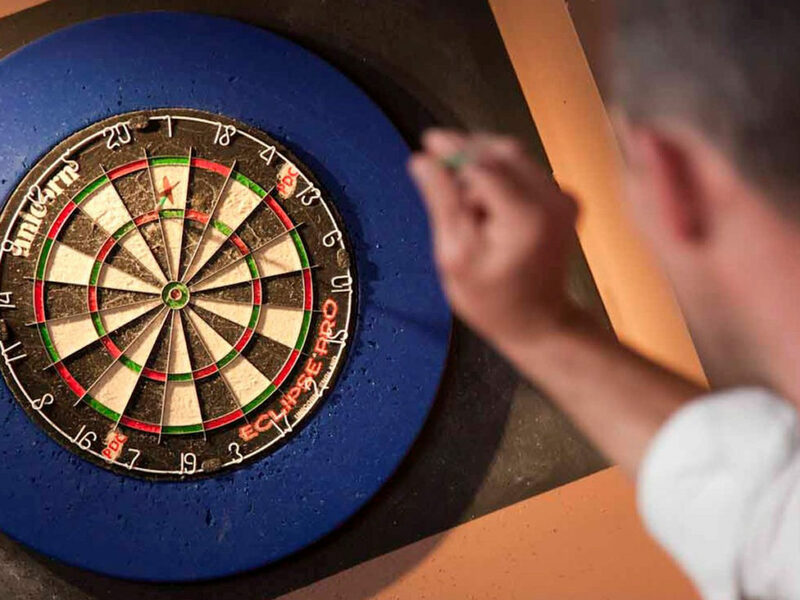 If you’re looking for a fun night out with friends, or like to play competitive sports, the soft tip dart league has a place for everybody. Whether you’re just starting out or have played in the past, there’s competitive levels for all skill types. League play runs over two seasons, September to December and January to April. Events can be played on Mondays, Wednesday or Thursdays, depending on what you like to play. Beginners can try their luck at 501 games, and if you like something a little more challenging, cricket is a great strategy game also available to all skill levels. We offer doubles play or team play, which involves 4 players. Also available for all players is your chance to win your trip to Vegas, Nevada to play in one of the biggest NDA (National Dart Association) dart tournaments in the world! Every year, approximately 30 lucky winners (and quite a few non-winners too!) make their way to Vegas to play in this event, which pays out cash prizes! No matter what your skill level, you always have an equal chance to win your way to Vegas to play against people from all over the world of equal skill levels. If this all sounds like something you’d be interested in, please check us out! Contact information is listed on this website. Thank you for visiting our site and Happy Darting Everyone!